Click on the drop down menu that says Manuscript (default) and choose Cursive. Click on the drop down menu that says Kindergarten (default) and choose Grade 3. 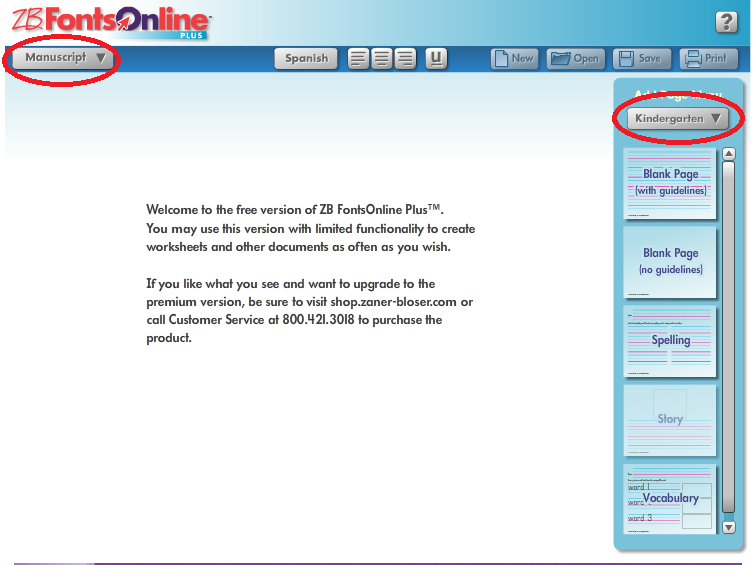 From there, you can choose the kind of page you wish (we usually choose 'blank page with guidelines.' Type the words/ sentences on the page you 'd like to practice in cursive. Print them on your home printer. See example below.